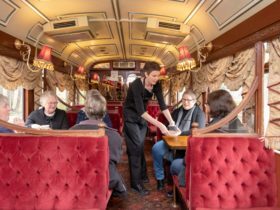 Immerse yourself in the rich stories of a golden past and explore stunning heritage architecture fashioned in a time when Bendigo was the richest city in the world. During the height of the gold rush the civic fathers of Bendigo were displeased with the practical appearance of their municipal building. 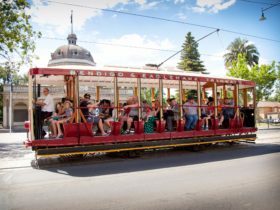 A redevelopment was commissioned to reflect the exuberance and splendour of Bendigo’s golden age. 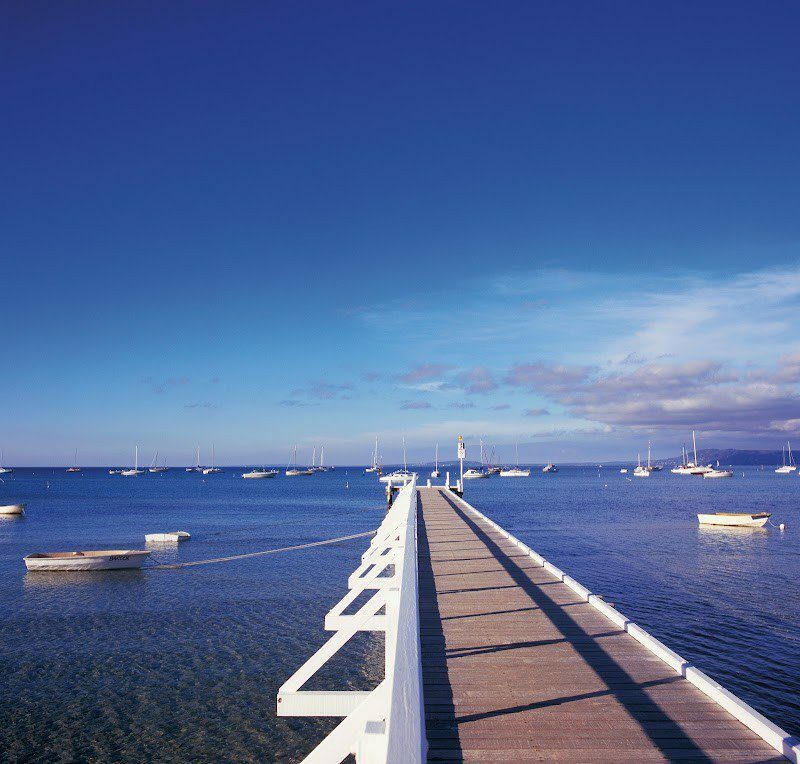 The masterpiece that now commands the site was the creation of W.C Vahland who went on to become one of the city’s most revered architects. Decorative plaster adorned with 22 carat gold leaf, befitting a European palace, holds the stories of a city built on gold. Your guide will take you on a journey throughout including the opportunity to explore the current city council chambers, which would not be complete without spending a moment at the Mayor’s table. 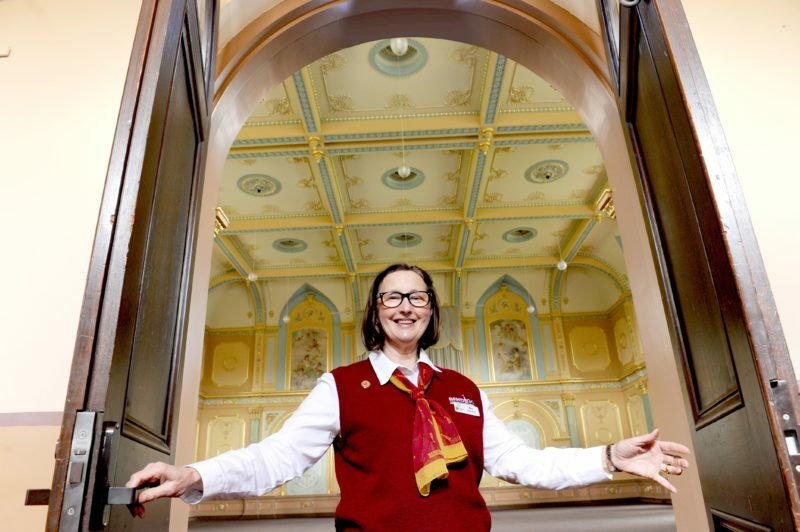 Restoration of the splendid building was completed in 2003, it certainly remains as it was at the turn of the century, the jewel in Bendigo’s crown. 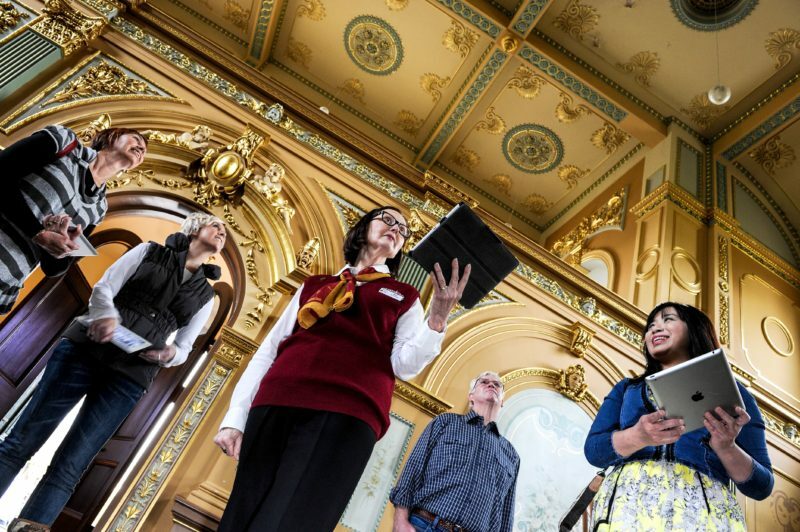 If you would like to arrange a private group tour please contact the Bendigo Visitor Centre. 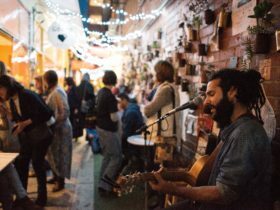 For further information visit the website. 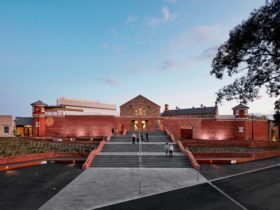 Step back into the Golden Era and experience one of the most remarkable boom time buildings in Victoria. 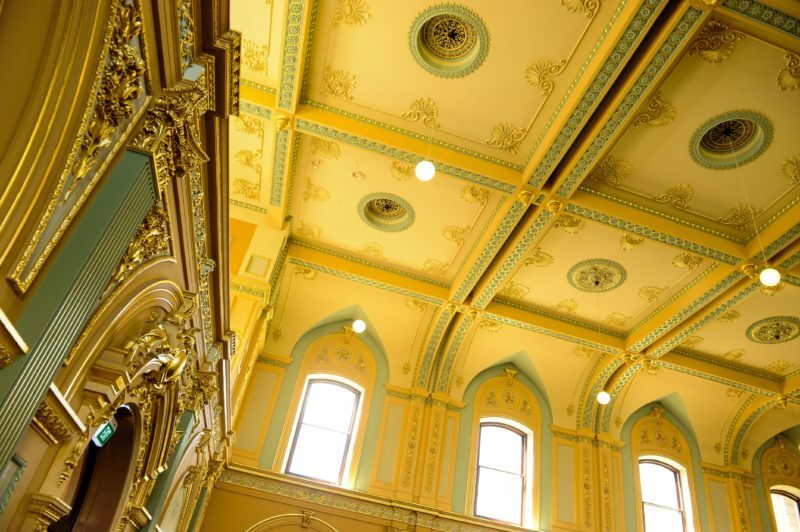 Bendigo’s Town Hall features stunning interiors, elaborate plasterwork, extensive hand painted decorations and delicate gold leafing. 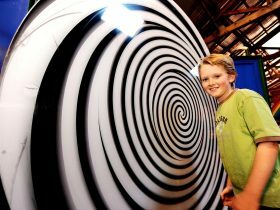 Guided tours are available and tour bookings are essential, subject to Town Hall availability. 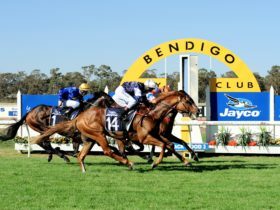 Please contact the Bendigo Visitor Information Centre for bookings.